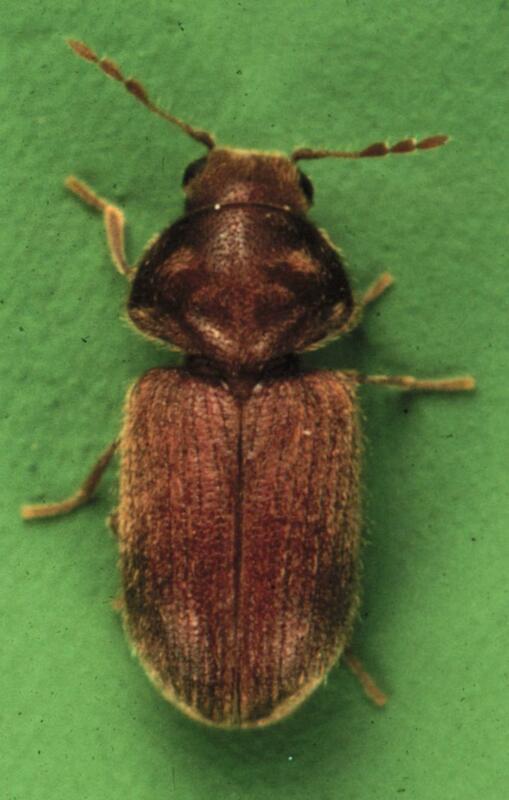 The Drugstore Beetle is a member of the same family as the Common Furniture Beetle and the Cigarette Beetle. It is a reddish brown beetle with rows of pits in fine lines along the wing covers. The antennae have a three segment club at the end. 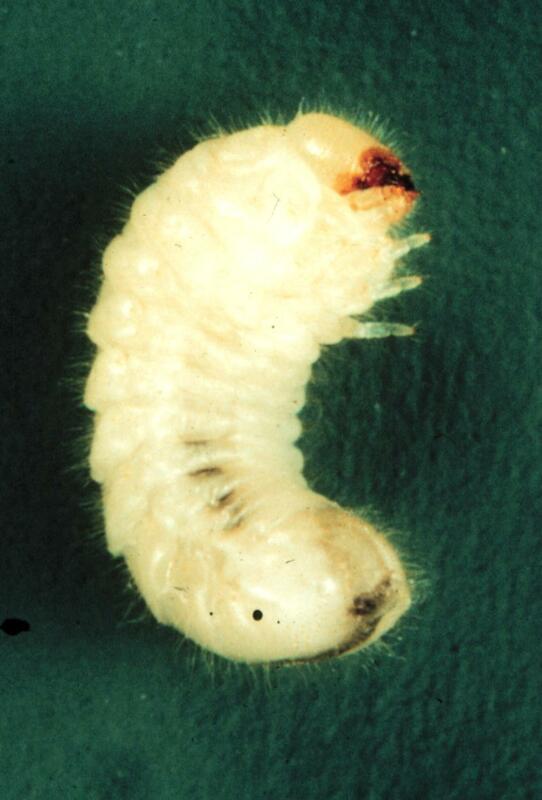 The larvae are creamy white c-shaped grubs. Cigarette Beetles are very similar to Drugstore Beetles (Stegobium paniceum) but the cigarette beetle has uniform antennae while the Drugstore beetle antennae terminate in a distinct three segment club. The Cigarette Beetle has smooth wing covers and the Drugstore Beetle has rows of pits in fine lines along the wing covers. The Drugstore Beetle is also very similar Common Furniture Beetle (Anobium punctatum), but A. punctatum has a pronounced humped hooded thorax. The Drugstore Beetle attacks cereal grains such as wheat, oats, corn, maize, barley, sorghum as well as processed cereal products. They infest a wide range of other products including pharmacy drugs, almonds, peanuts, pepper, cornmeal, flour, wheat bran, dry pet biscuits, birdseed, beans, fish meal, pasta. It even eats non food items such as books, museum exhibits, wool, leather - you name it they will eat it. Female beetles lay white eggs singly in the food product. The larvae tunnel into the food product to feed and pupate after about 4 to 5 months. The adult emerges from the pupa after about 12 to 18 days.